The Congress party supported the bill in Rajya Sabha today, but raised question over its timing and implementation. Congress Rajya Sabha member Anand Sharma says the bill is being introduced considering the Lok Sabha elections, which are scheduled to be held in May. “We understand what is happening, we are not kids,” says the Congress leader Anand Sharma. “There are three hurdles that this will have to surpass – the first hurdle is that according to me there is complete non-aplicability of mind on the part of the government in bringing this bill. The second hurdle is the constitutionality of this bill. And the third hurdle is the implementation of this bill,” COngress MP Kapil Sibbal said. 09:42 pm: “PM Modi has introduced this bill to benefit the economically weaker sections who have been left out of the welfare schemes. The Congress had promised in their manifesto that they will introduce reservation for general category. I would like to ask them whay would they have done differently in this regard,” Thaawar Chand Gehlot, Minister of Social Justice and Empowerment. “Apart from a few political parties, all political parties have supported this bill. I thank them for it,” Gehlot said. 08:13 pm: “Based on an interim order from the Supreme Court, reservation in promotion is in effect. If a later judgement by the Supreme Court overturns this decision, we will bring an ordinance to bring back reservation in promotion,” LJP MP and Union Minister Ram Vilas Paswan said in response to question raised by Congress MP Kumari Selja. 08:10 pm: Kumari Selja questioned how will the members of economically weaker sections appointed under the 10 per cent reservation criteria be promoted. “This is the part of a nefarious agenda to take out reservation,” she added. 08:06 pm: “Have you cleared the backlog for reservation? What about the vacancies in the Centre? How will the Quota bill be implemented in this regard?,” Kumari Selja asked. 08:03 pm: “You brought this bill to the Parliament without prior consultation knowing that we will support it as it was in our manifesto. But you are not respectful to the Parliament,” said Congress MP Kumari Selja. 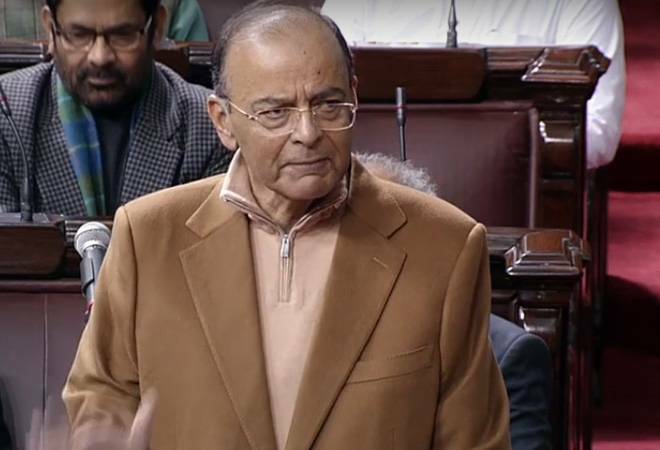 07:12 pm: “While the Constitution amendment bill was supported across the board in Lok Sabha, it is being strongly opposed by certain members of Rajya Sabha. I appeal to all members that they support the bill,” LJP MP Ram Vilas Paswan. 06:21 pm: Although I support the bill, I am saddened by the way it has been tableed before the House, Congress MP Kapil Sibbal said. “There are three hurdles that this will have to surpass – the first hurdle is that according to me there is complete non-aplicability of mind on the part of the government in bringing this bill. The second hurdle is the constitutionality of this bill. And the third hurdle is the implementation of this bill,” Sibbal said. 04:32 pm: “There might be issues with the Quota Bill which needs to be rectified, but our party supports this bill. We want this Bill to be passed today. We don’t doubt the policy behind this Bill, but the ruling party’s intention behind it,” Prasanna Acharya of Biju Janata Dal said in the Rajya Sabha. Now tell me what prompted the government to bring this bill now, asks O’Brien. 4.13pm: Derek O’Brien of TMC: Four out of five laws have been passed here without scrutiny under this government. Total 14 new bills have been introduced in this session. How many sent for scrutiny? Only 1. Now will this bill pass constitutional scrutiny? Do you have any numbers to prove this? This bill is actually acknowledgement of guilt. Where are the jobs? You promised 2 crore jobs. Now you are asking people to do ‘pakora’ jobs. 4.00pm: AIADMK opposes the bill. “The state of Tamil Nadu will suffer the most due to this bill. The Supreme Court has already said that no government can bring a change in the basic structure of the Constitution. Now the bill will be challenged in the Supreme Court on these same logics, and the apex court will then reject it,” said AIADMK member A. Navaneethakrishnan. 3.16pm: SP leader Ram Gopal Yadav said his party supports the quota bill. However, he added that the government’s intention behind bringing the bill is not right. “The bill is against SC’s bigger bench decision, which can now uphold it. Moreover, there are no jobs so the talk of reservation would be a cheating,” he added. 2.35pm: “We need to examine the history of reservation. The Constitution provides reservation for all socially backward people,” says Congress leader Anand Sharma. 2.31pm: The quota bill will ensure that more than 95 per cent of the population benefits from the reservation, says Jha. He added Congress President Rahul Gandhi thinks about ‘Rafale’ even in his dreams, but does not speak about the quota bill. 2.15pm: “There are few apprehensions. But this bill is not state specific. It is applicable to all states and union territories. Assam has been facing illegal migration issue for decades and we have an Assam Accord. We are just implementing the Assam Accord. We have constituted a high power committee [prescribed under Clause 6 under Assam Accord] to safeguard the interest, integrity and welfare of people of Assam. The committee will submit its report within six months,” says the Union Home Minister. 1.00pm: During a rally in Solapur, Maharashtra, Prime Minister Narendra Modi said “our principle of ‘Sabka sath sabka vikas’ has been further strengthened” after the bill was passed in the Lok Sabha. 12.45pm: Congress Rajya Sabha member Anand Sharma says the bill is being introduced considering the Lok Sabha elections, which are scheduled to be held in May. “We understand what is happening, we are not kids,” says the Congress leader.